When you here the word NEEDLE, what is the first thing that comes to mind? The use of needles has a great presence in science. However, it is most commonly associated with an unpleasant experience in a doctor's office, leaving 10% of the population with what is called Needle Phobia. Methods of injection and infusion date back to the 1600s. However, Charles Gabriel Pravaz and Alexander Wood were the first to develop a syringe with a needle fine enough to pierce the skin in 1853. This needle is known as the hypodermic syringe. Nevertheless, the use of needles is not limited to medicine. In Gas Chromatography and High Pressure Liquid Chromatography needles are used to inject an analyte into machines to begin the separation process through the phases. However, another very common use for syringes today is in cooking. 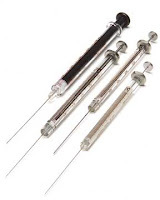 Flavor injectors are a type of syringe used for food. It is most frequently used to add a marinade/ flavor to meats... And now fillings to cake pops! It so happened that I was concocting Carrot Cream Cake Pops on February 3rd, and during the process it occurred to me to check my National Food Day calendar. To my surprise it was Carrot Cake Day!! Go figure... 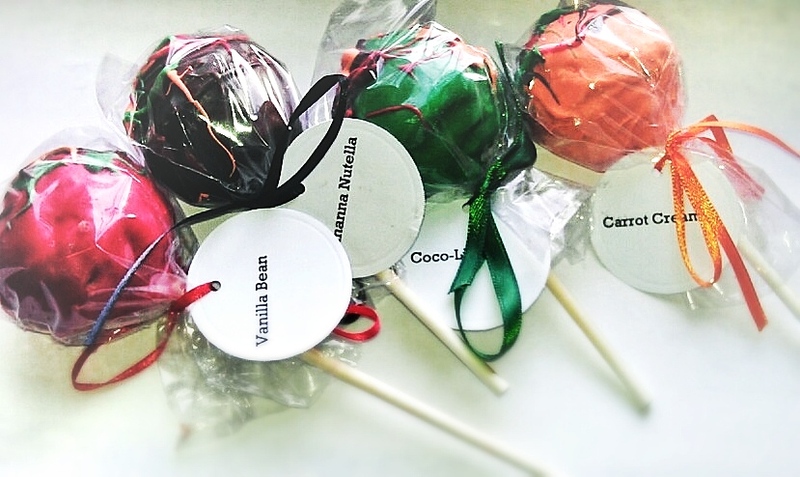 Nevertheless, the Carrot Cream Cake Pop concoction is made from Carrot Ice-Cream cake batter, baked into a cake pop and injected with Cream Cheese Frosting using a cooking syringe. 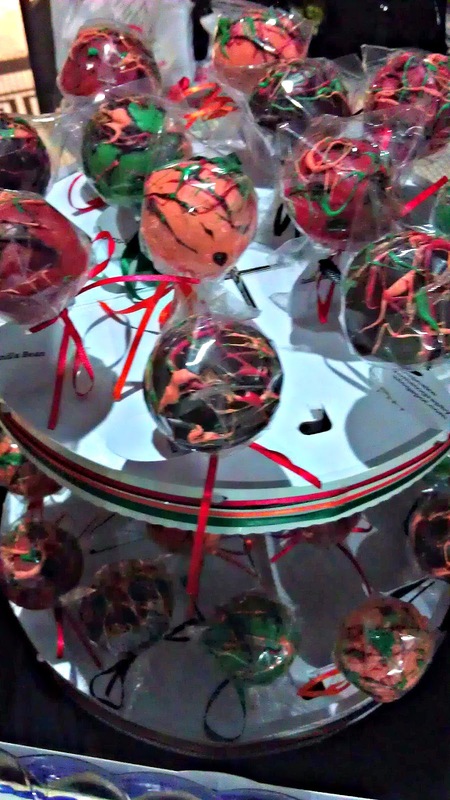 The pops were then covered in orange colored white chocolate. Cream/ combine butter and sugar and 5 spice powered. Beat in eggs one at a time until well blended. Add the remaining dry ingredients in three parts alternating twice with melted, cooled carrot ice-cream.